Summary The total 58 modules of the PV-system was installed on the roof of the company building. 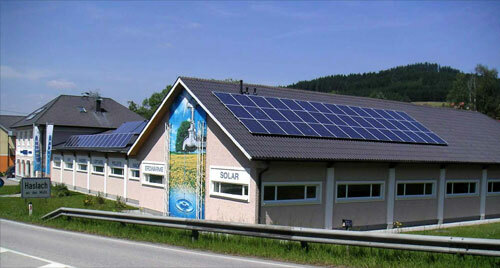 The PV-plant was not installed as a total system and so the orientation of the modules were different. 42 of these modules were mounted in southeast direction with a slope of 30° and the other 16 modules were installed in southwest direction with a slope of 45°.